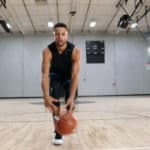 Your basketball hoop needs may be installing a first time hoop for your little baller or upgrading to a better system for yourself or another more experienced player. 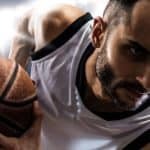 With its combination of toughness and ease of use, the Lifetime 52 inch portable basketball system can be a solid choice for all different kinds of hoop needs. While the installation can be time-consuming for many users, the vast majority feel like the end product makes it worth the work. 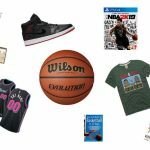 The Lifetime 52 inch basketball hoop is a great basketball hoop for basketball lovers young and old. 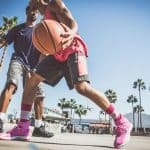 We have talked about the quality Lifetime basketball hoops on BestOutdoorBasketball before, and this hoop continues on with that reputation. is quite simple and easy to follow. If you have assembled IKEA furniture before, then this will be doable. We do not advise that you try to install the Lifetime 52 inch basketball hoop on your own. 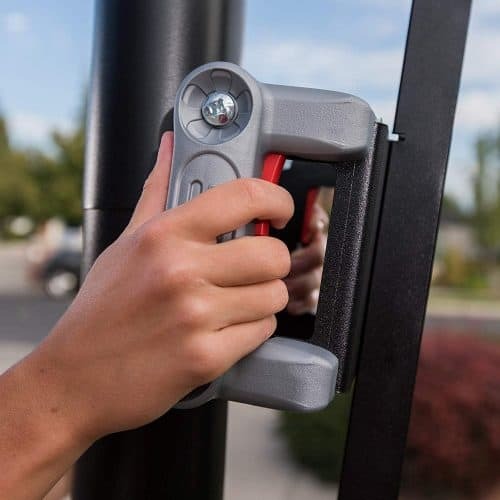 It will take 2 people to assemble this without any problems due to the overall size of the system but any adjustments after assembly can be performed by one person; these simple adjustments show just how easy to use the system is. 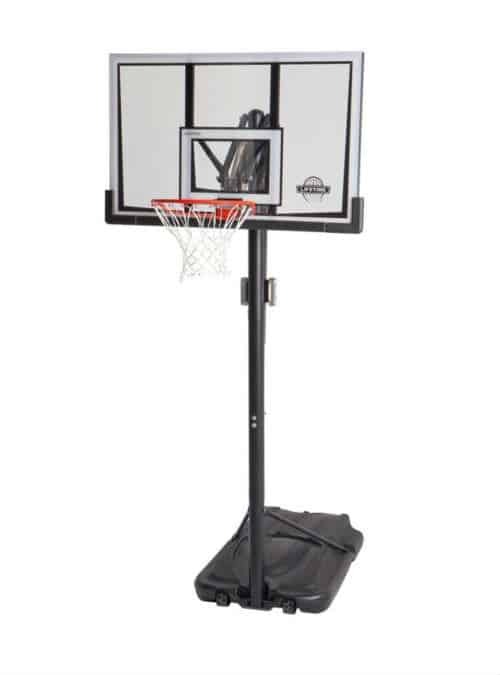 Adjusting the height is quite simple with its pull and push mechanism, and within normal playing and practice conditions, the Lifetime 52 inch portable basketball system proves to be a durable and lasting hoop for your driveway. 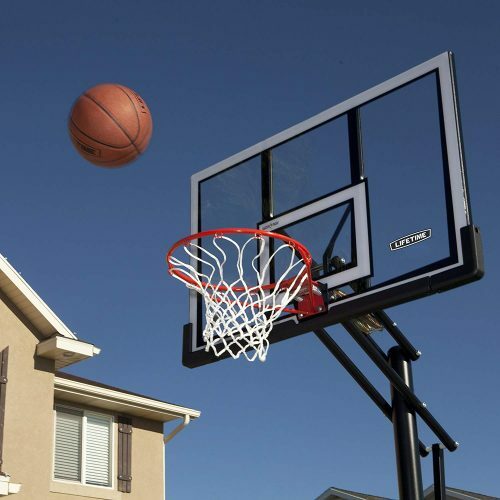 The Lifetime 52 inch basketball hoop is made to last with stainless steel pipes and a tough backboard that can absorb the punishment of an intense game of basketball. Not only that, if you plan on placing this outdoors you won’t even need to worry about damage from natural elements. The large base allows this hoop to withstand winds up to 40 mph. One common complaint we have heard from customers of this product is the shape of the delivery box. It is often on its last legs when it makes it to your doorstep. Other than this little problem people have been impressed. No matter what your age or ability level, this hoop from Lifetime can serve your needs; this is a great tool to introduce children to the sport and is certainly a great way to have fun while working out at home. 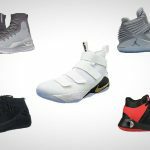 If you are planning to purchase a basketball hoop system, then this Lifetime 52 inch portable basketball hoop will suit your needs. We are quite satisfied with their product and will recommend it to those who are looking for a quality basketball hoop for their homes. It is portable and easy to transport and with a strong base, it will surely keep its shape and durability through many games. 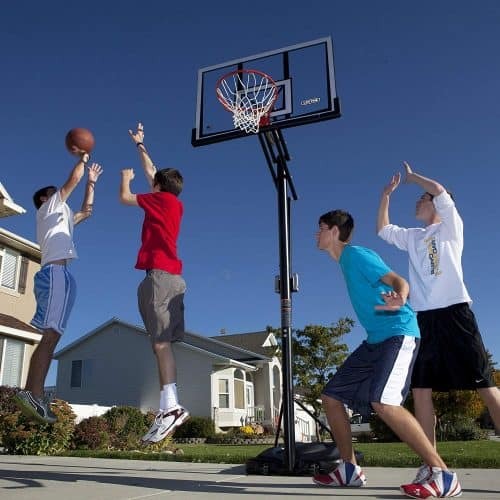 The Lifetime 52 inch basketball hoop, a great choice! The 35 gallon portable base can be filled with either water or sand to withstand winds up to 40 mph. 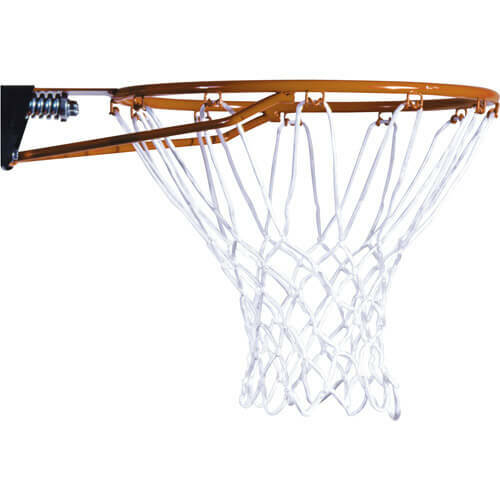 Front Adjust handles allow for easy adjustments to the backboard height; the backboard can be lifted from 7.5 feet to 10 feet easily.